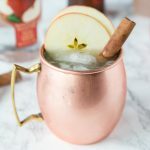 Slow Cooker Spiced Pear Cider – cinnamon and clove spiced pear cider. 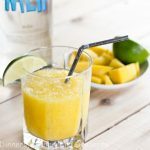 Warm up with a combination of apple and pear juice and lots of spices! Did you watch football yesterday? What a game the Broncos played! We have lived in Colorado for 4 years, not enough time to forget the teams we grew up cheering for, but it was fun to see them win. And such a close game! I think unless you are from the New England area, you are pretty much against the Patriots. Kind of funny seeing all the memes about Tom Brady on Facebook last night. My 10 year old is now asking if we can have a Super Bowl party. I have a feeling there will be a lot of Super Bowl parties in the area this year, so we will see. 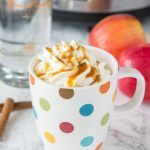 I really should have posted this slow cooker spiced pear cider recipe last week, so all of you on the East coast could have tested it out while snowed in this weekend. It would have been perfect to have in the slow cooker waiting for you after you had to shovel or clear all of that snow. 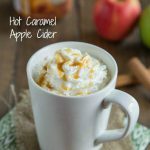 But that is ok, this spiced pear cider is that good, you are going to want to make it this week while you watch that snow melt! It was been a long time since we have been in a real blizzard/snow storm that has shut everything down. It is always kind of fun the day of, but as soon as it is over, you are ready for the snow to just disappear. 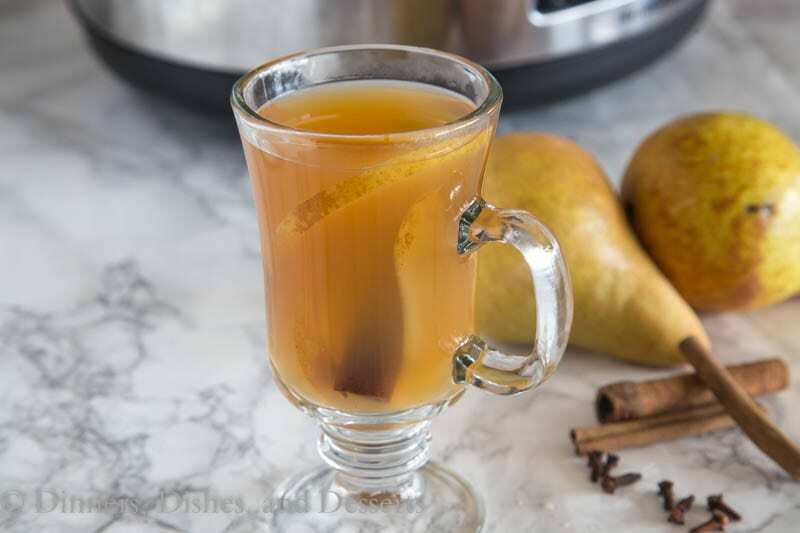 This slow cooker spiced pear cider comes together in just a couple minutes. 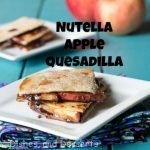 You just add a few ingredients to your slow cooker, thinly slice some pears, and then let it go. A few hours later your house smells incredible, and you have a warm and cozy drink waiting for you. 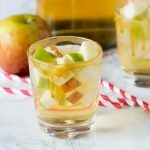 I made this pear cider for the ladies at cooking club this month, and it was a big hit. 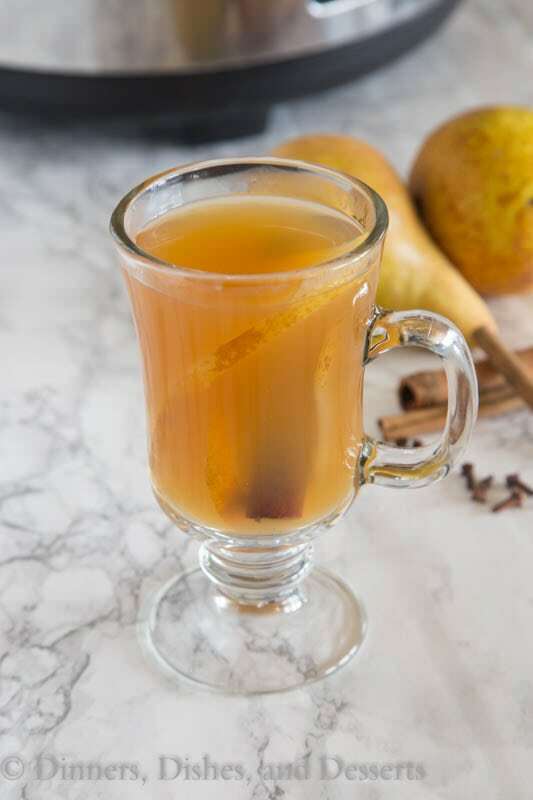 So anytime you need to warm up this winter, have a group of friends coming over, or just want to mix it up; make this slow cooker spiced pear cider! 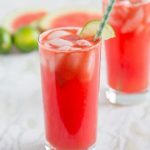 I am sharing this recipe over at Imperial Sugar today. 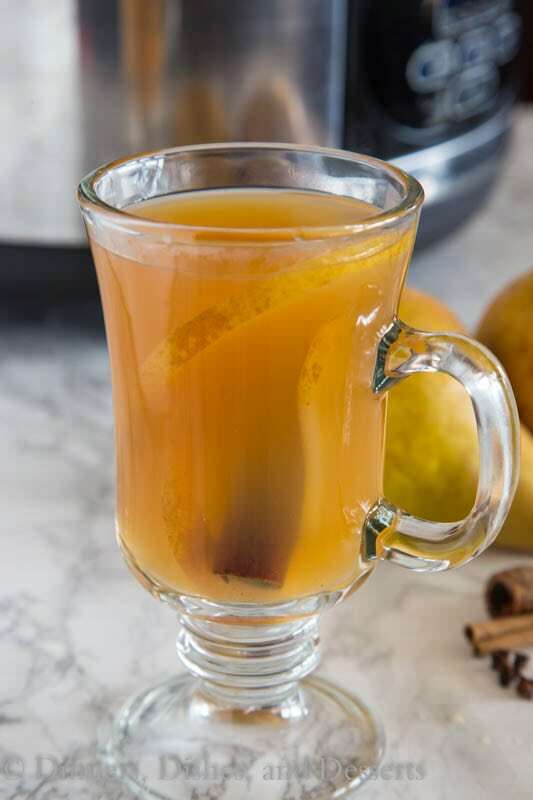 Click on Slow Cooker Spiced Pear Cider to get the recipe. 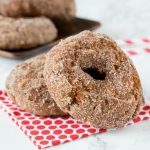 **I have an ongoing relationship with Imperial Sugar for recipe development. I was compensated for my time to create this recipe. All thoughts and opinions are 100% my own. 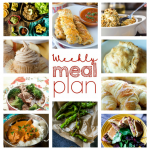 Thank you for supporting the brands that I love, and make Dinners, Dishes, and Desserts possible. Ooo I’ve never thought to use pear. Sounds delicious! Can’t wait to try this! Using pear for a cider is BRILLIANT! 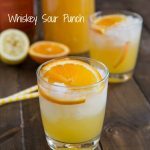 This looks like the perfect winter drink! 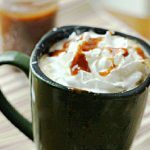 Oh man I was all of this cider than seeing that its a slow cooker recipe makes me want to try it that much more. I love a good warm drink. 😉 We aren’t big football people here, but I just want to have a party so I can eat the food. Isn’t that bad? I LOVE pear flavored drinks! 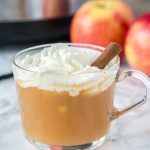 This spiced cider looks amazing, Erin!